In 2013, the residential sector made up 27% of the total energy-related CO2 emissions in Ireland. That high percentage doesn’t include commercial and other buildings (offices, factories, retail, educational, churches, etc.). Much of our building stock is of poor quality in terms of energy performance so there is a lot of potential for improvement. It is, therefore, crucial that we achieve greater energy efficiency in all of our existing homes and other buildings. An ambitious energy-retrofitting programme for our existing building stock needs to take place. This programme would need state support in terms of grant aid, public awareness, advice and regulation. Financial institutions, Energy Service Companies (ESCOs) and some energy utility companies would provide loans. As well as reducing emissions and keeping more money in the local economy, such a programme would create enormous local employment as many construction tradespeople, engineers, architects, energy consultants and installers would be required. There would also be great opportunities for local manufacturers of low carbon building materials and technologies. 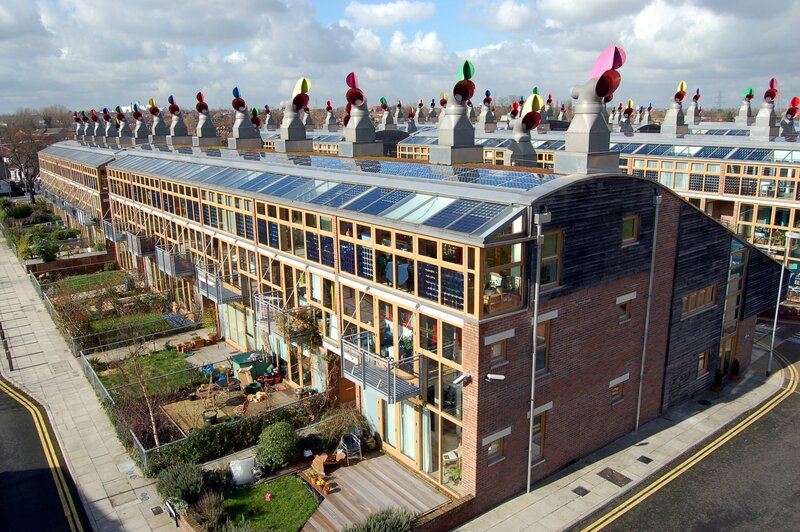 Amongst the technologies that are currently available to make this transition are: insulation, airtightness, heat recovery ventilation, heat pumps, combined heat and power (CHP), biomass heating systems (such as wood chip or wood pellet boilers), solar thermal, solar photovoltaic (PV), energy efficient windows, small scale wind turbines, district heating, and control equipment. As construction work can be disruptive, “deep” retrofitting (once-off extensive energy upgrading of a building) should be promoted over “shallow” retrofitting (small scale improvements). “Deep” retrofitting is also better as energy savings are greater and are made sooner. All new buildings would be designed and built to be carbon zero or carbon positive.